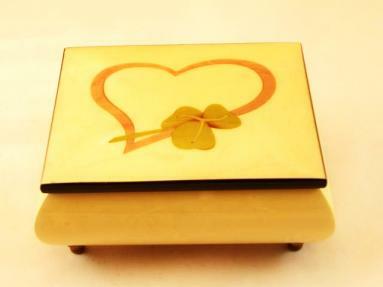 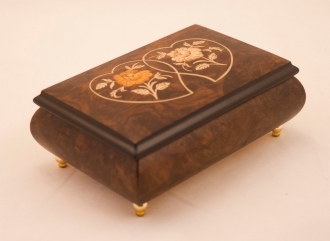 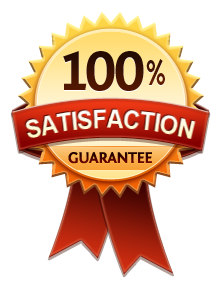 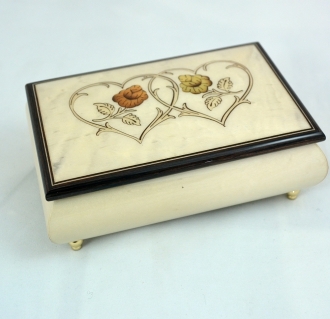 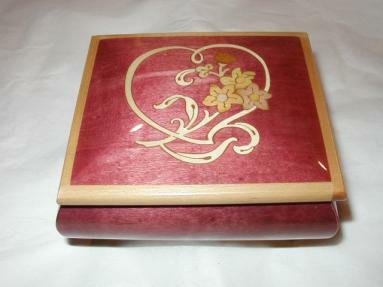 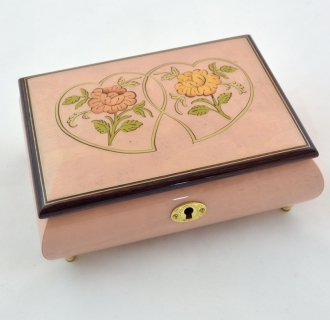 This beautiful box is made of high grade hardwood, colored in natural wood color. 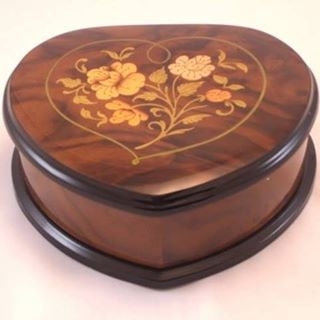 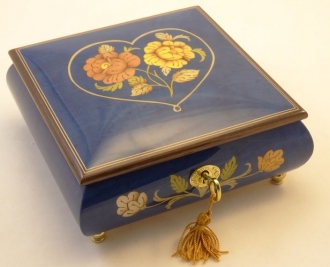 Nothing says "I love you" more than a music box that can store the precious memories. 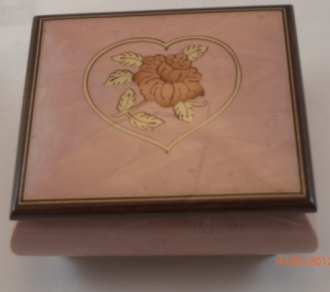 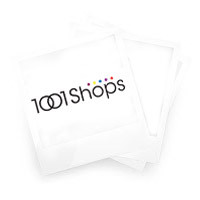 H: 2.50" W: 4 .50" L: 4.75"
H: 2.75" W: 7.00" L: 6.00"